Plants to be entered into our trials are received in a variety of ways. About one third are germinated from seeds while the remainder originate as rooted cuttings or established cell plugs. Virtually all are grown within controlled greenhouse environments prior to placement in protected outdoor structures for hardening off. They were planted into their permanent trial bed locations on May 2, 2017. The predominant plant spacing in the bed trials was 18 inches × 24 inches (in-row × between-row spacing). Seven plants of each entry were used to evaluate landscape performance. Hanging baskets contained three plants and were replicated three times. Containers had one plant each and were replicated five times. All ratings were taken weekly. Plants were given a visual rating weekly by the same person beginning May 24, 2017 (about three weeks after planting) through September 30, 2017. The overall rating was based on plant performance and appearance, including floriferousness, plant size and shape, and freedom from insect and disease problems. The rating scale ranged from 1 (very poor) to 5 (excellent) with 0.5 unit increments possible; a 0 rating indicated that all plants of the cultivar trial died. Our growing conditions this summer started out mild but by July turned hot and dry. In the months of July and August, we experienced long periods of temperatures in the low to mid 90s. 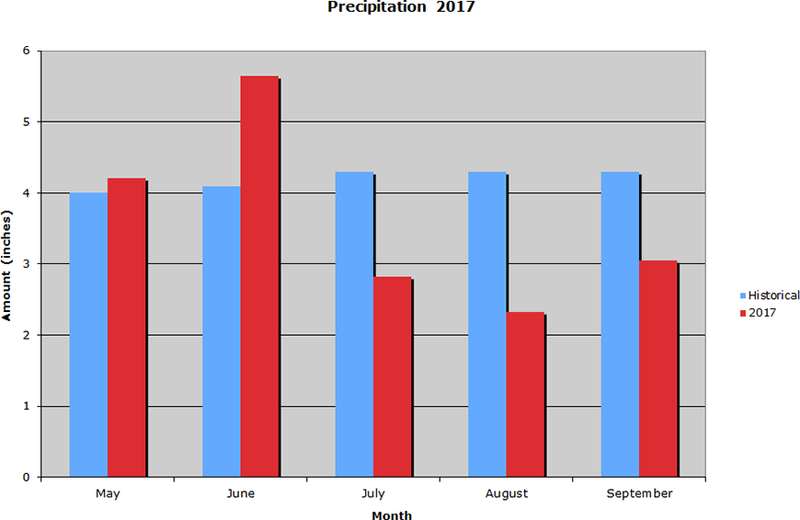 This summer season was challenging for both the geraniums and ptilotus—the early season excess rainfall was problematic for them. They never reached their potential. 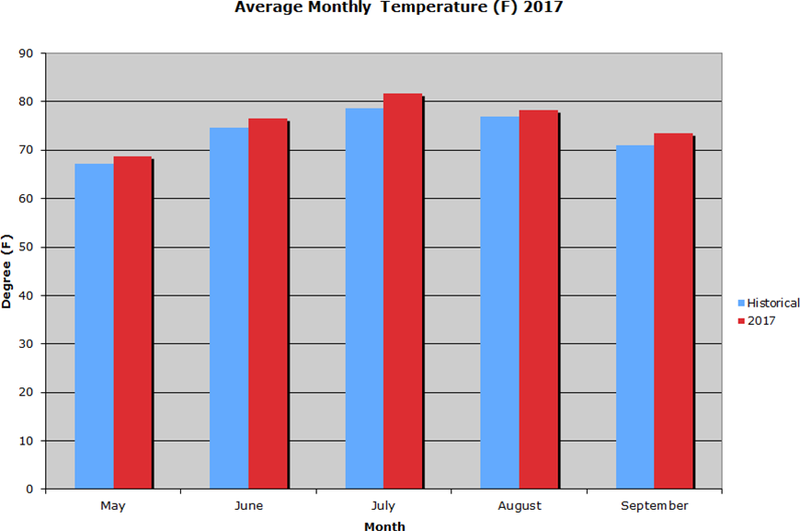 On the positive side, the milder summer helped extend our growing season into late summer. One example being marigolds, they looked great well past their normal life expectancy. And the return of lower night temperatures (in the 50s) in early September was a welcome relief to many crops. The verbenas are perking up again.